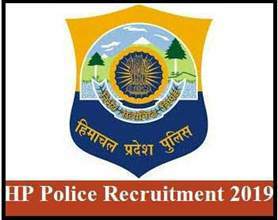 The HP Police Constable Recruitment 2019 is the most awaited recruitment, the thousands of candidates from Himachal Pradesh waiting for this recruitment for a long time. Now the waiting time is over, the final notification released by Himachal Pradesh Police department on 03 March 2019. As per the recruitment notification, the online application form will start from 30 March 2019 on the official website. Dear aspirants, through this article, you will get all the important details regarding HP Police recruitment 2019. For more information read the notification given below. Updated on 19.03.2019…….HP Police Jobs 2019………Constable……Male…….Female…..Driver Posts…..Qualification 10+2…….Online Mode…….Last Date 30 April 2019. HP Police Recruitment 2019 for Constable Posts is the best opportunity for those candidates who are interested in police jobs. Candidates, who meet eligibility criteria, can submit the application form through the online mode only. There is no other way to submit the application form. The application form along with instructions shall be available on the official website from 30 March 2019.